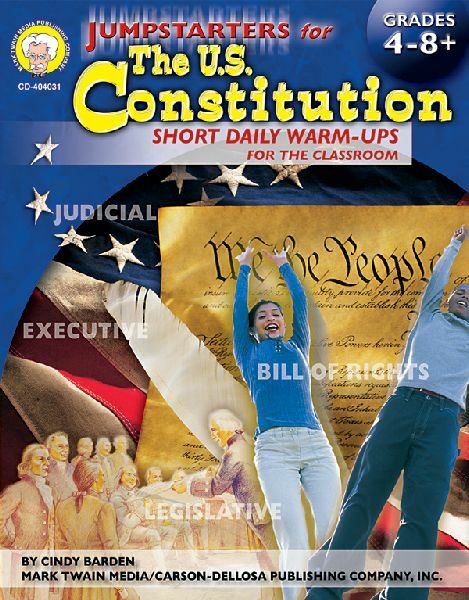 Annotation: Bring history to life for students in grades 4 and up using Jumpstarters for the U.S. Constitution: Short Daily Warm-Ups for the Classroom. This 48-page resource covers each section of the Constitution, dissecting it for total comprehension. The book includes five warm-ups per reproducible page, answer keys, and suggestions for use.